As I ate my last piece of berry cobbler on Saturday, it was like I was saying goodbye to summer and welcoming the new season. This is the first summer since my kids started school that I wasn’t ready for summer to end. We had a FANTASTIC summer but, I love, love, love the fall and the beginning of school and the starting of new schedules and the leaves fading away and the stews stewing in pots. I am a big fan of new and so is my Lord. All things have become new. This is the best part of a life with Christ Jesus as your Lord and savior. All things become new. Its called sanctification, its a process that never ends until the end, and even in the end, God declares it “BEHOLD, I MAKE ALL THINGS NEW”. 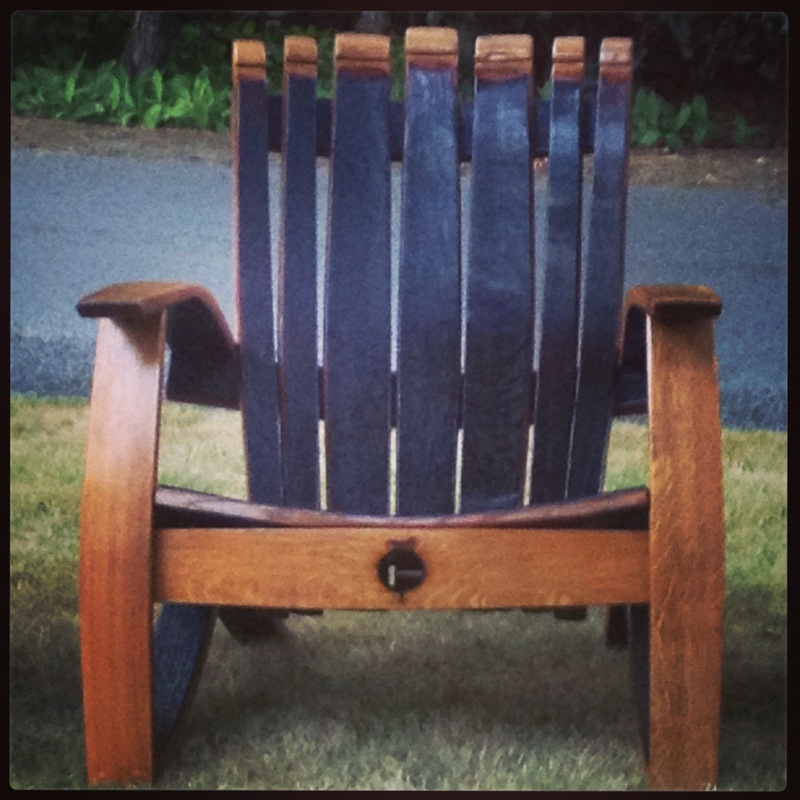 Brek’s dad made this new chair from an old wine barrel. As this chair came into our home yesterday and found its place in the corner by the fireplace I was reminded about how old things become new. Sometimes its not about the changing as much as it is the repurposing. Don’t get me wrong God has made some miraculous changes in my life. I am a new creation but he has also repurposed some old wine barrels and made them into beautiful chairs. Isn’t it nice to know that with the ‘making of all things new’ God doesn’t throw out the beauty of it, in fact He creates more beauty from it and as the old is gone a new more purposeful, more beautiful, more Godly creation is made. I like knowing that my summer is not gone forever. It is a season that God is closing and a new season is coming. I trust Him to create something beautiful this fall. I’m expecting him to continue to repurpose my brokenness and make it something whole and new and more beautiful. I trust him to do the same in the lives of my children and husband and yours. I see the leaves turning bright yellow on the bush outside my window, reminding me of God’s faithfulness as he turns the seasons. I just know He’s about to make something new. Dare to let Him, wait expectantly, follow obediently, and enjoy the new.